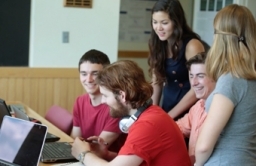 A group of students built a song-lyric generator using linguistics and computer science. 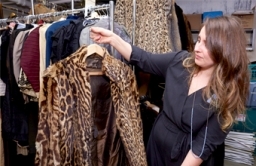 The Theatre Department received a grant to preserve and organize hundreds of antique costumes. 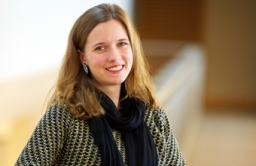 Evelin Toth ’17 will travel to five countries in the coming year through a Thomas J. Watson fellowship. 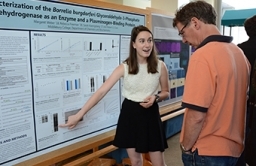 Nearly 140 undergraduate researchers capped off their summer work with a poster session at Bicentennial Hall. More than 2,000 people attended Reunion 2017 on a beautiful June weekend. 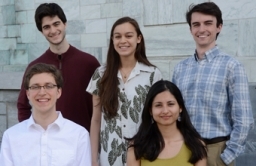 In the coming year, five Middlebury students will serve as English teaching assistants, while four more will conduct research. 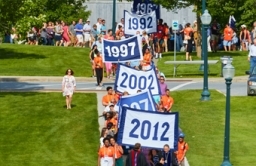 The 98th session of Middlebury's graduate English program began in Oxford, Santa Fe, and Vermont. 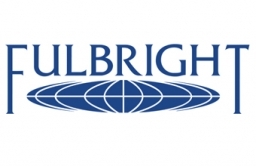 Middlebury has announced its new Kellogg Fellows in the humanities for the coming year. 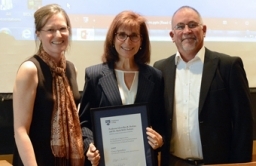 Middlebury presented the Perkins award for teaching excellence to biology professor Grace Spatafora. 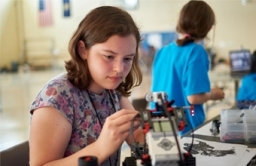 A student-led camp focuses on keeping girls interested in computer science and technology.